As we say farewell to the summer and prepare for debating the roster of your favourite sports team, pumpkin spice everything, and the changing weather, it’s also important to remember to adjust your driving habits to the changing road conditions. Wet, cold, snowy, icy and foggy weather have a significant impact on your ability to see other vehicles and avoid potential hazards on the road. Although you’re likely know how to keep yourself safe, it never hurts to take a few minutes to consciously remind yourself to acclimatize to the changing season. When you’re driving in wet weather slow down and keep in mind that it will take you longer to stop than it would on dry roads. Also remember that it’s not just the rain you need to worry about—rainwater mixes with oil, gasoline and other fluids on the road to create a slick surface that can cause your vehicle to hydroplane. It may seem counterintuitive, but pointing the steering wheel in the direction your vehicles is hydroplaning can help the tires regain traction. Wait for the tires to regain traction. Pull over and take a moment to collect yourself, hydroplaning can be a very frightening experience. Hydroplaning commonly occurs when the rain first starts to fall because the dust, oil and other fluids haven’t been washed away yet, thus making the roads very slick. Be sure to slow down as soon as you see rain drops, disable cruise control if you’re using it, and try your best to avoid standing water, especially at speed. When you’re driving in cold, snowy and icy weather slow right down and leave plenty of space between you and the vehicle in front of you. You can be doing all the right things but if the car in front of you spins out of control you’re going to want ample time to come to a complete stop and avoid a collision. It’s apparent when there’s snow on the ground but ice can be harder to detect and is much more dangerous. The notorious “black ice” is a layer of ice that forms on the surface of the road containing very few air bubbles, making it transparent and very difficult to see. Black ice can form quickly when the temperature drops and is most common on bridges and highway overpasses. I can tell you from my own personal experiences that it’s important to pay close attention to shaded areas of the road when driving early in the morning as these sections are more likely to be covered with black ice because the sun hasn’t had a chance to thaw them out. It’s nearly impossible to see black ice with your naked eye, but there are certain things you can look for to detect its presence. Look for water spraying off the tires from the vehicle in front of you, if there’s no water spray it may be because all the water has turned into hazardous black ice. Feel your side view mirrors, if ice is forming on them there’s a good chance it’s forming on the roads as well. Consider the road you’re driving on; main roads are more likely to have been salted than smaller side roads that will be more susceptible to icing. If your vehicle doesn’t have an exterior thermometer, get one, good old science tells us that ice starts to form at 0 degrees Centigrade and 32 degrees Fahrenheit. Driving on icy roads should be avoided entirely if possible as there really isn’t a safe way to drive on them. If you must venture out onto icy roads be sure to go very very slow, leave plenty of room between the car in front of you, and make sure you have all your lights on, some people say it’s appropriate to have your hazard lights on in extreme circumstances. But remember, icy roads should be driven on in emergency situations only. Anyone who lives in a cold climate will know that winter tires make a big difference when driving in wintery conditions. 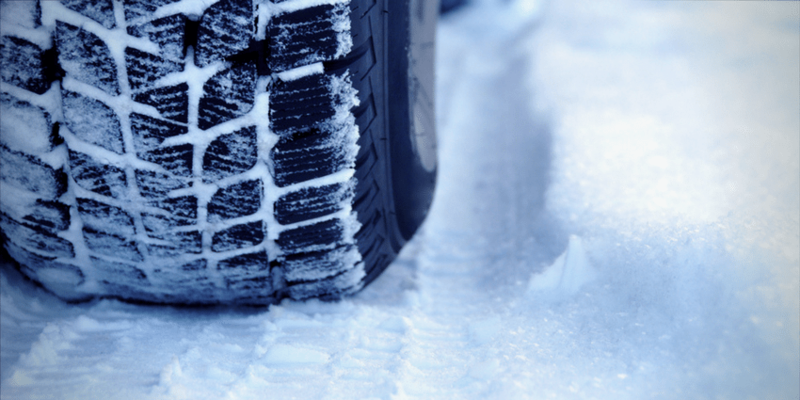 If you’re like me, and try to get by on your all-season tires even when it’s freezing, you need to stay aware of your limitations and drive much slower and cautiously then what might seem intuitive. You should also keep tire chains in your vehicle in the event that you get caught out in a snowstorm so you have an extra ace up your sleeve to get back home. When you’re driving in foggy weather, like when driving in other inclement weather, slow down and leave lots of space between you and the car in front of you. Fog is most common early in the morning and late at night, so try to avoid driving in fog prone areas near seashores, lakes and rivers during these times. The moisture in fog can collect on your windshield and compromise your visibility, so be sure to pay close attention to your defroster and windshield wiper speed. Use your fog lights if you have them and or low beam lights. High beams will just get reflected back at you in thick fog conditions. Make sure that your regular daytime running lights are on so you’re visible to other cars trudging through the fog, and be mindful of staying in your lane, as some drivers have a tendency to drift towards the middle of the road when visibility is compromised. 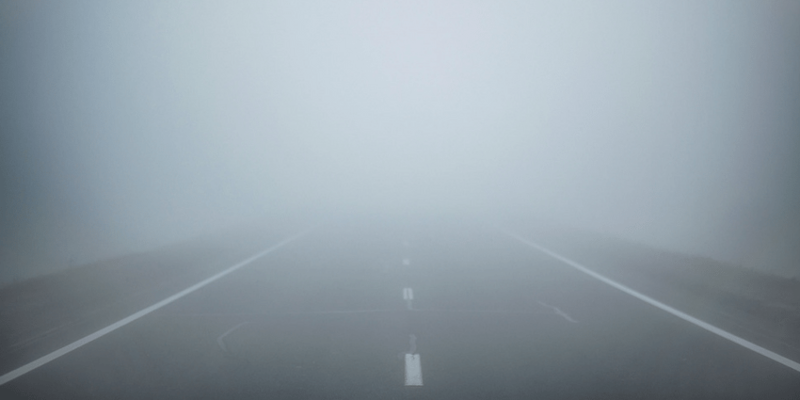 Many animals have a habit of wandering onto the roads during foggy conditions and are obviously much harder to see. So be on the lookout for deer and other woodland creatures that can be hazardous to their own, and your safety. If the fog gets so thick that you can hardly see, pull over and turn on your flashing hazard lights. Sometimes you need to trust your instincts and take a timeout during the most extreme weather conditions. Road conditions can change suddenly and without warning during the fall and winter months. Experienced drivers know what they should do during adverse weather conditions, but even the most responsible drivers can be guilty of underestimating the threats posed by the natural elements. It’s easy to become overly comfortable and lackadaisical behind the wheel when you’ve gone a long time without an accident. Make sure you take a moment to remind yourself of the potential hazards driving can present this winter season. By following the winter driving safety tips above you’ll be better prepared to avoid any dangerous situations on the road. Own a fleet and want to monitor driving habits such as: harsh acceleration, harsh cornering and harsh braking? Give us a call and find out how GPS fleet tracking can help you ensure your vehicles are driven as responsibly as possible. Its a really great tips for driving in winter.. Last 2 month ago we was gone jammu & kashmir. That was memorable day in my life.because of too much problem to drive our car. here you mention about Winter Weather Driving Tips are accurate. Thank you so much for share.